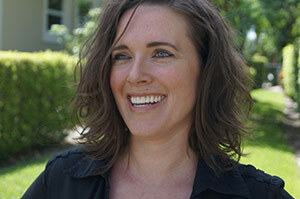 Erin St. Onge-Carpenter is a public opinion, market research and insights strategy specialist. Over the past 15 years she has developed and honed her skills by following a non-linear career path that was based more on taking advantage of exciting and challenging opportunities than on following a pre-determined ladder-climbing track. This approach enables Erin to work with small boutique firms with specific areas of expertise, to large global research corporations. Her time at each firm provided exposure to a unique range of projects. She has managed numerous qualitative and quantitative projects for clients ranging from political candidates to private corporations and from international banks to non-profit organizations. Throughout her career she has taught at the undergraduate and graduate levels and has designed and implemented research training programs for professionals. She has considerable expertise in the areas of complex market segmentation, research on women, multicultural research, public policy and international micro-finance. Erin earned her MA in Survey Research Methodology from the University of Connecticut. Never one to shy away from an exciting challenge, Erin has taken advantage of many unique opportunities over the years that have enabled her to determine what is being done well and what can be improved upon in the market research field. Many of the issues Erin has encountered over the years have centered around how researchers approach women as research subjects; as well as how professional women have been regarded by clients and colleagues. This led her to start twtw with the vision to bring a new perspective, rooted in experience, to the industry.